A Moodle Plugin is a small code / program which you can integrate with your Moodle site to achieve some specific functionality. 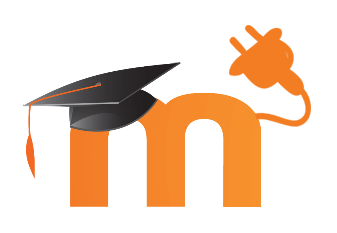 There are a number of Moodle plugins available in Moodle plugin directory which one can easily download and install. In addition, you may have some custom requirements specific to your needs. PAL InfoCom, after gaining significant experience in Moodle customization, has developed some useful Plugins which can be put to use in Moodle and its variants like Totara, IOMAD etc. Checkout our library below. If you still don't find the relevant one, you may like to hire our Moodle Plugin Developer to build any custom plugin from scratch. This “FREE” plugin, developed by PAL InfoCom, provides easy and convenient filtering & listing of users in your Moodle/Totara LMS. The listed users can also be saved in PDF format for your future reference. Dynamic Listing of Configured Entities. Values Shown Only if Some Data Exists. Sort the User List on the Basis of Cohort, Role, Group etc. In an ongoing LMS, database becomes clogged due to old unuseful data. This clogging has its impact on the overall performance of the LMS as site response slows down. This plugin has been developed in order to overcome this challenge. Allows defining custom criteria of period for which data has to be deleted. Last updated July 13, 2018. Replaces all previous versions. "Content" means any material, such as audio files, video files, electronic documents, or images, that you see on our website in connection with your plan to purview, purchase and / or subscribe to our maintenance services. The content of this website is provided purely for the information purposes only. No legal liability or other responsibility is accepted by or on behalf of PAL InfoCom Technologies Pvt Ltd. India for any errors, omissions, or statements on this site, or any site to which these pages connect. All products, Logos and 3rd party Company names are trademarks™ or registered® trademarks of their respective holders. Any use of those on our website doesn't imply any affiliation with them or endorsement by them. Data means any data, Information, Content, or images, that you upload on our website during subscription, Purchase or Signup for the use of our Services. You retain all the rights and ownership of your data. We do not claim any ownership rights to your data. We may proactivley send you more communications to educate you on the industry trends and other important information related to our services and products. If you have a problem with that, please communicate same to our Customer support and ask for unsubscription. Other than this, we do not intend to use / sell or publicly share your personal data. We do not store any financial data on our website. Your subscription related financial information is stored only on the 3rd party website, Paypal, if you so choose. We are not responsible for any misuse of that data from the 3rd party website. If you do not notify us of updates to your payment method, to avoid interruption of your service, we may participate in programs supported by your debit/card provider to try to update your payment information. You authorize us to continue billing your account with the updated information that we obtain. Our ongoing maintenance support service starts as soon as your initial payment is processed. You will be charged the subscription fee stated at the time of your initiating the subscription, plus applicable taxes (such as Paypal or GST if you are India based), every month for the duration of your contract. Your contract renews automatically every month on the renewal date, until you cancel it before renewal date. Renewal fee is subjected to change, but you will be notified of any such change with an option to cancel in accordance with these terms. If you cancel your subscription within 14 days of your initial order, you'll be fully refunded. Should you cancel after 14 days, you'll be charged 50% of your remaining obligation and your service will continue until the end of that month's billing period. Cancellations can be made any time by contacting Customer Support. Should PAL InfoCom Technologies for some reason choose to Cancel any customer subscription, the prepaid period will be duly served or proportionate days fee refunded back. You will indemnify us and our subsidiaries, affiliates, Directors, officers, agents, employees, partners, and licensors from any claim, demand, loss, or damage, including reasonable attorneys' fees, arising out of or related to your Content, your use of the Services or Software, or your violation of the Terms. a.The Services or Software will meet your requirements timely, secure, or error-free. b.The results obtained from the use of the Services or Software will be effective, accurate, or reliable. c.The quality of the Services or Software will meet your expectations. d.Any errors or defects in the Services or Software will be corrected. We specifically disclaim all the liabilities for any actions resulting from your use of any of our Services or Software. You may use and access the Services or Software at your own discretion and risk, and you are solely responsible for any damage to your computer system or loss of data that results from the use of and access to any Service or Software. Unless stated in our General Terms, we are not liable to you or anyone else for any loss of data, goodwill, or profits, whatsoever, personal injury or loss and any special, incidental, indirect, consequential, or punitive damages whatsoever, regardless of cause including losses and damages. Our total liability in any matter arising out of or related to the Terms is limited to USD 100.00 (USD One Hundred) only or the aggregate amount that you paid for access to the Service and Software during the two months period preceding the event giving rise to the liability, whichever is larger. This limitation will apply regardless of the form or source of claim or loss, whether the claim or loss was foreseeable, and whether a party has been advised of the possibility of the claim or loss. If you need any further clarity related to the above, please email our customer support within one week of the incident of purchase or subscription. We've got answer. Try us. eLearning Moodle LMS Development & eCourse Designing Company | Copyright © 2019 palinfocom.com All right reserved.